How to set up my custom domain? 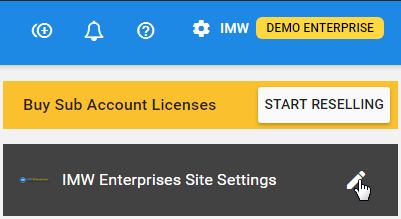 In order to configure your Custom Domain, it is necessary to own the ENTERPRISE license since the module "My Site & Clients" is part of this package. 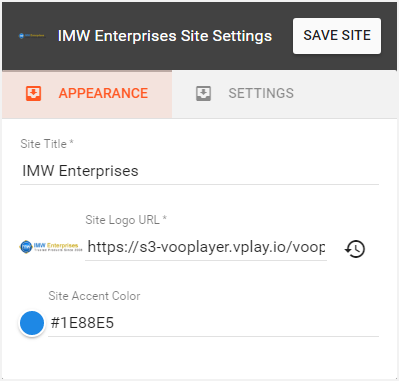 If you do not wish to use yoursubdomain.vooplayer.com as your vooPlayer domain, there are a couple of alternatives. 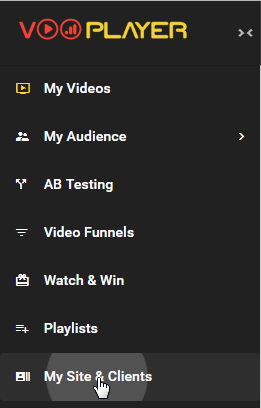 First option, by default yoursubdomain.vplay.media is available, so simply enter it under "My Site settings" and it is done. Second option, to set up a completely custom domain is more advanced and it gives you more freedom. For both options, please note that when you are entering a URL, do not enter http:// https:// or www, just enter your domain instead. To set up your custom domain and site, go to My Site & Clients. 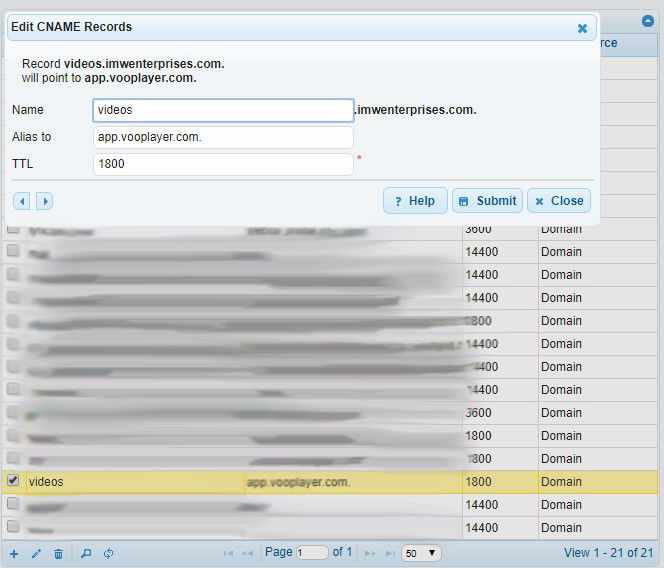 Fill in all necessary fields and click on the button "CREATE SITE". 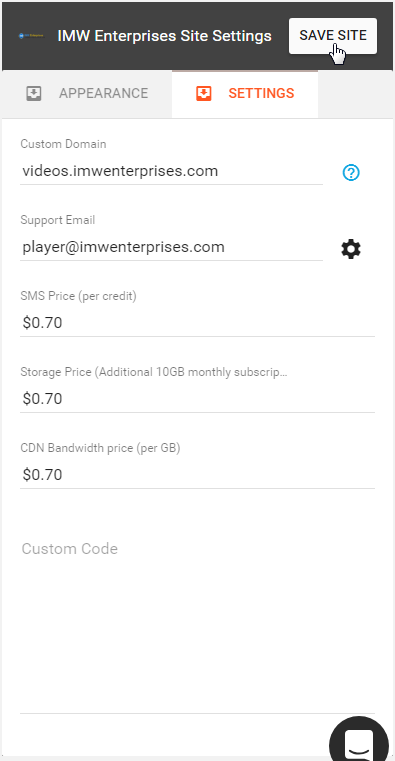 This is the main part, here you can set your custom domain, support email and custom prices for reselling storage, bandwidth, SMS credits.